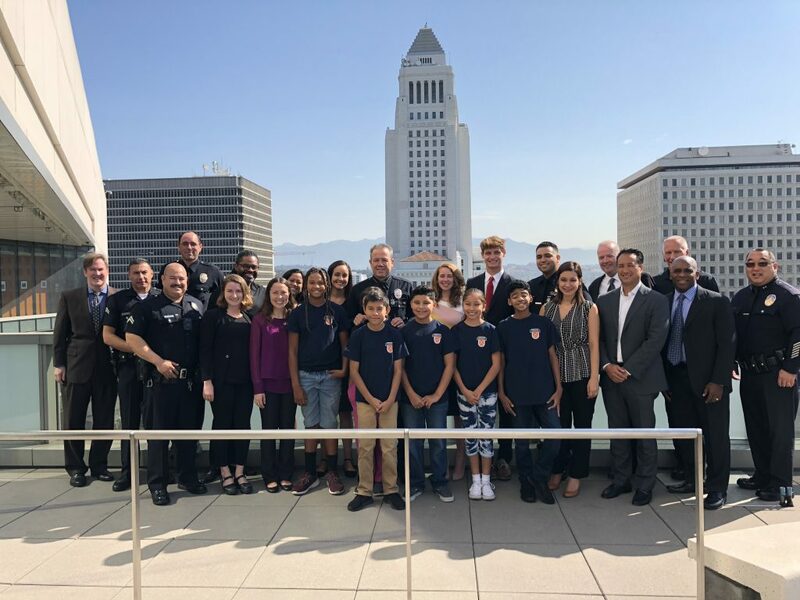 On Wednesday, August 1, Operation Progress Scholars, staff, mentors, and stakeholders descended upon the Los Angeles Police Department Headquarters in Downtown, Los Angeles for a special partnership renewal signing ceremony with the new Chief of Police Michel Moore. 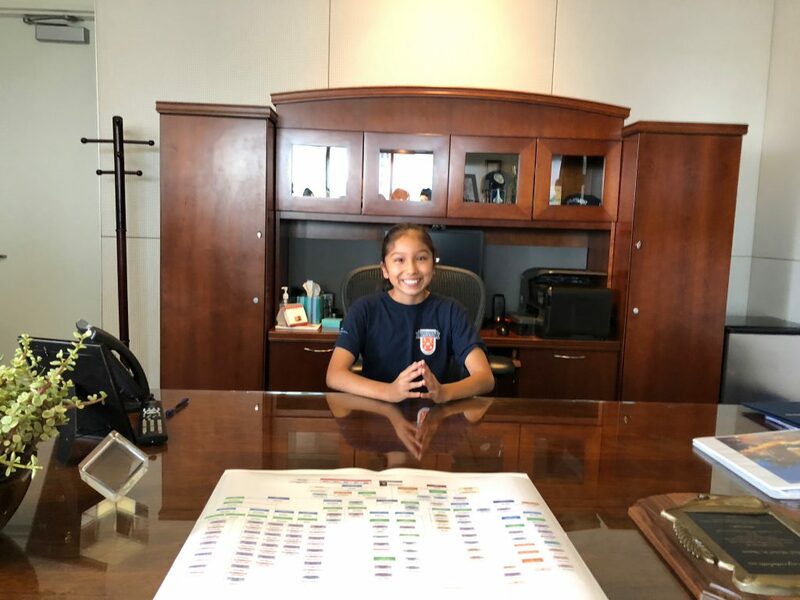 It was an exciting morning up on the 10th floor where Chief Moore shook each Scholars’ hand, showed them around his office, and invited them to sit at his desk. 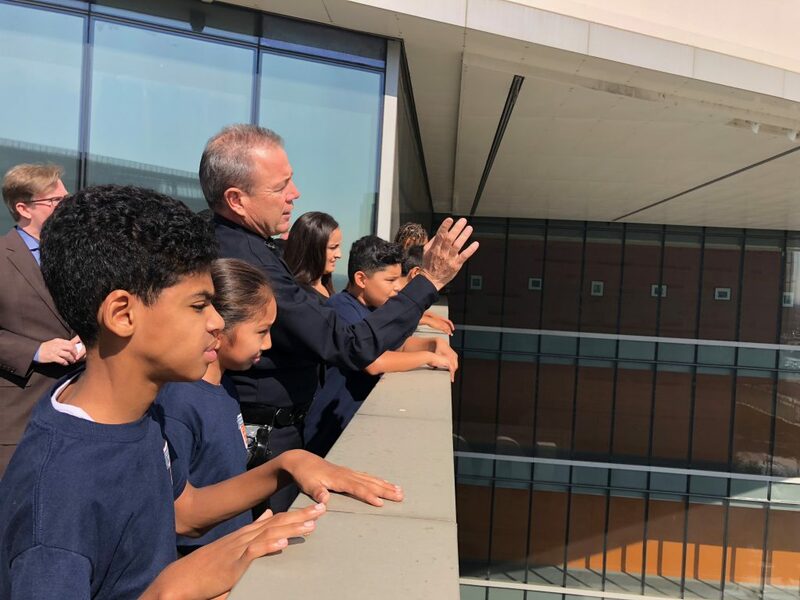 This partnership ensures that our LAPD mentors are guaranteed a certain amount of on-duty time a month to mentor their OP mentees. 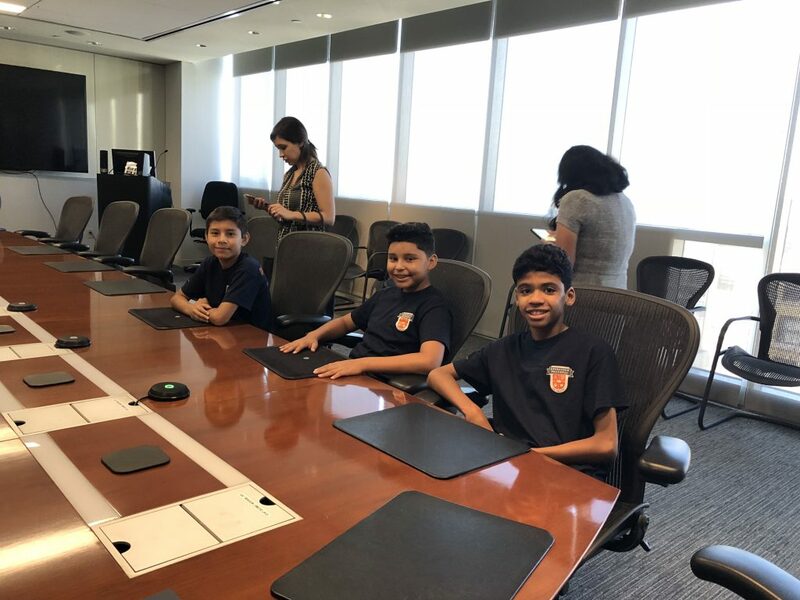 This agreement really fosters our mentorship program and allows our mentors to show up for our Scholars on a weekly basis. 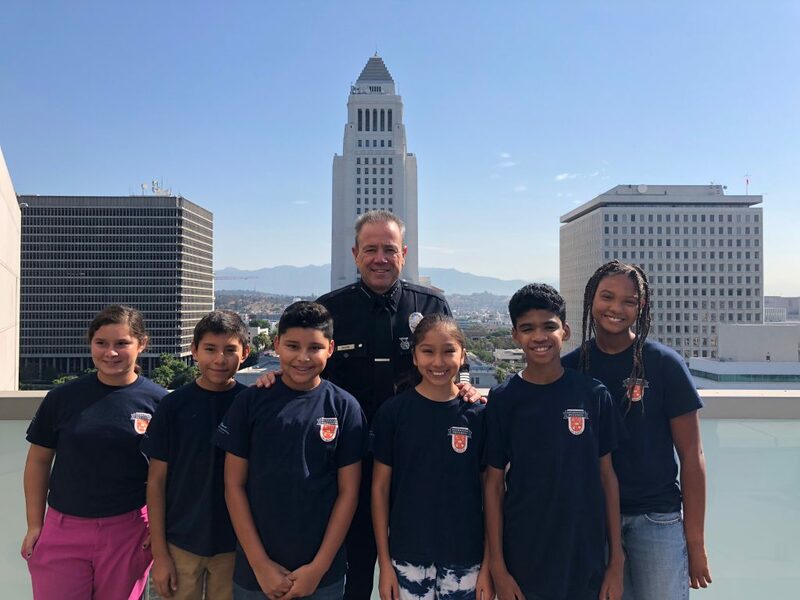 We are thrilled about continuing our alliance with LAPD and supporting police community relations with Chief Moore at the helm. 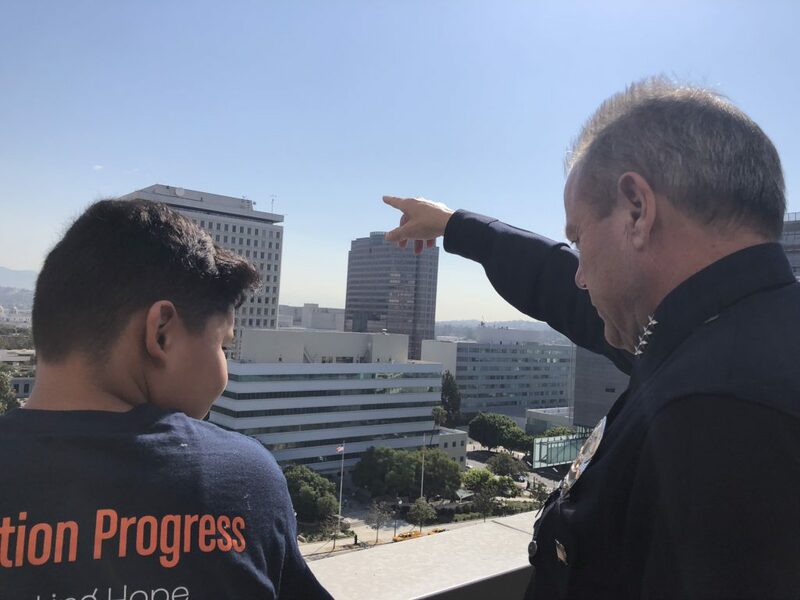 To learn more about Operation Progress’ LAPD Mentorship Program, visit www.operationprogressla.org/safety.